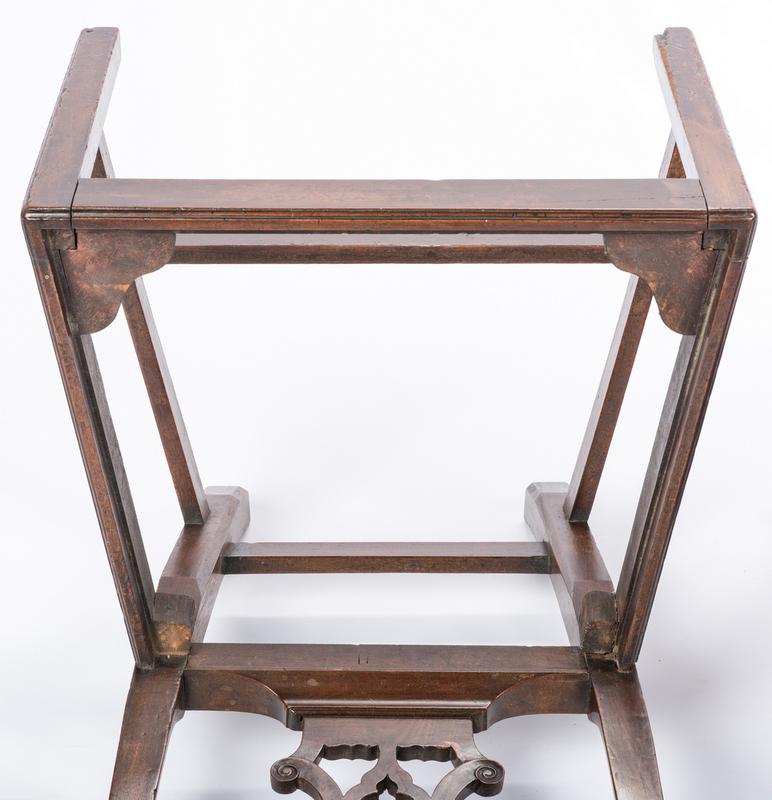 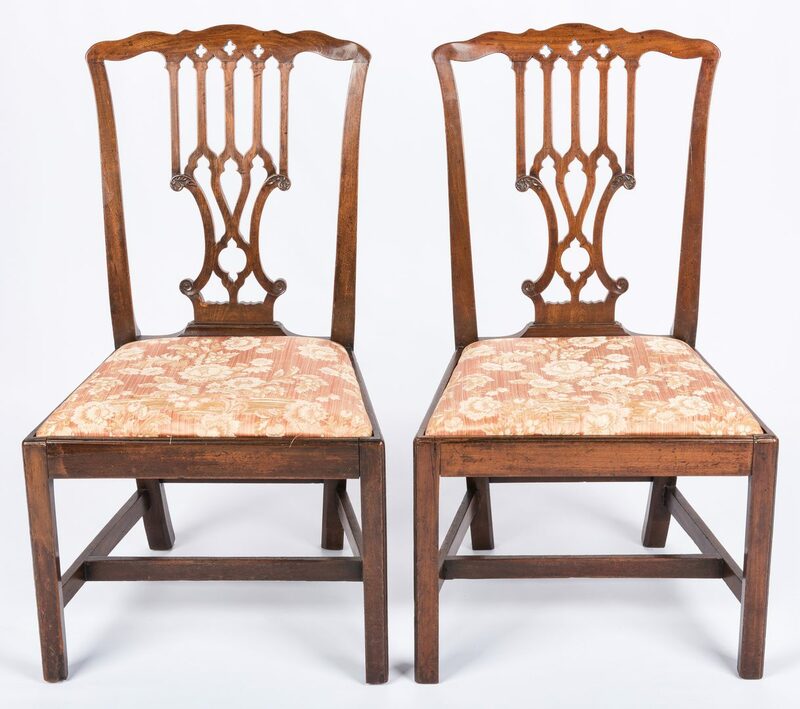 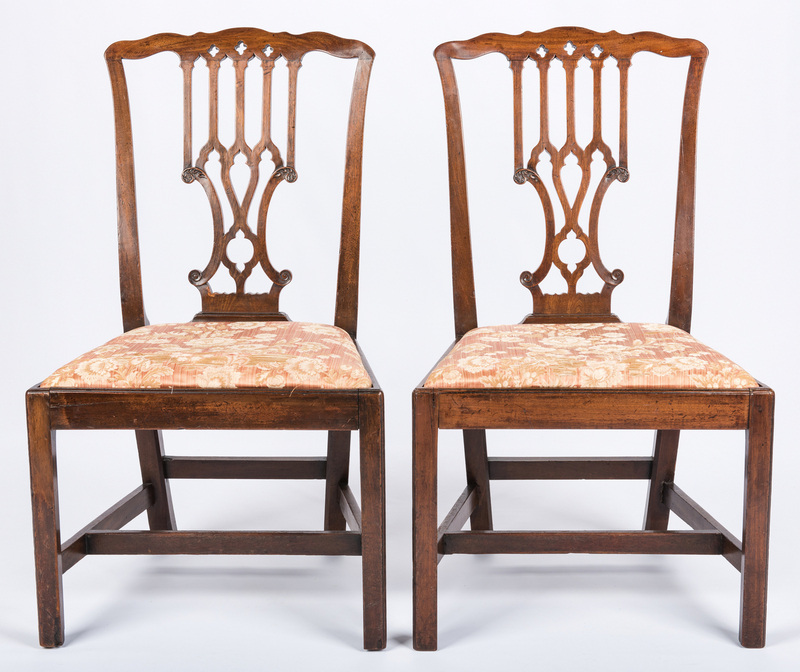 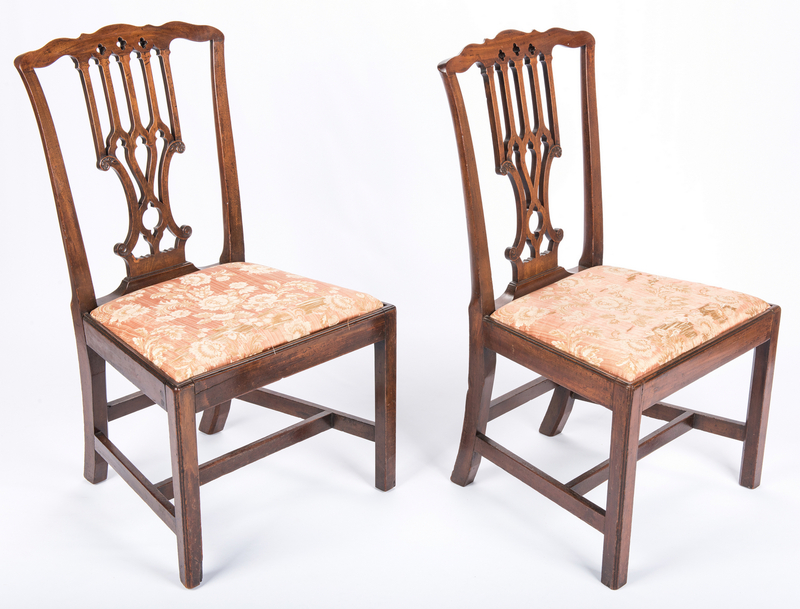 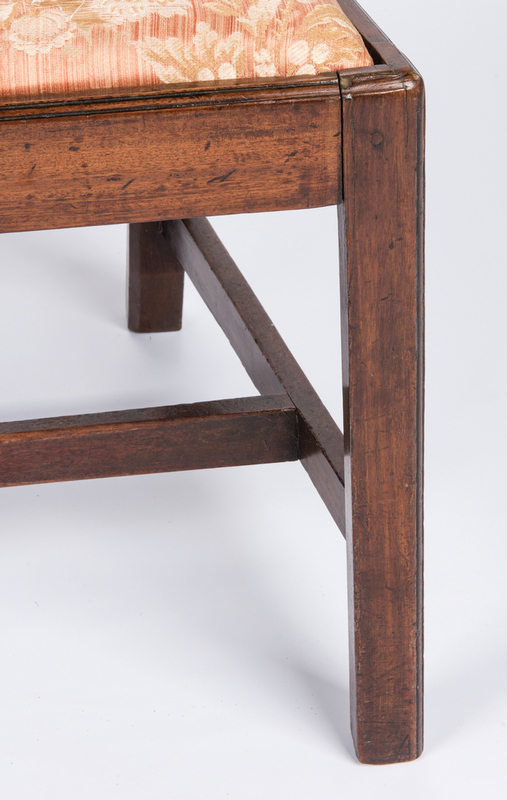 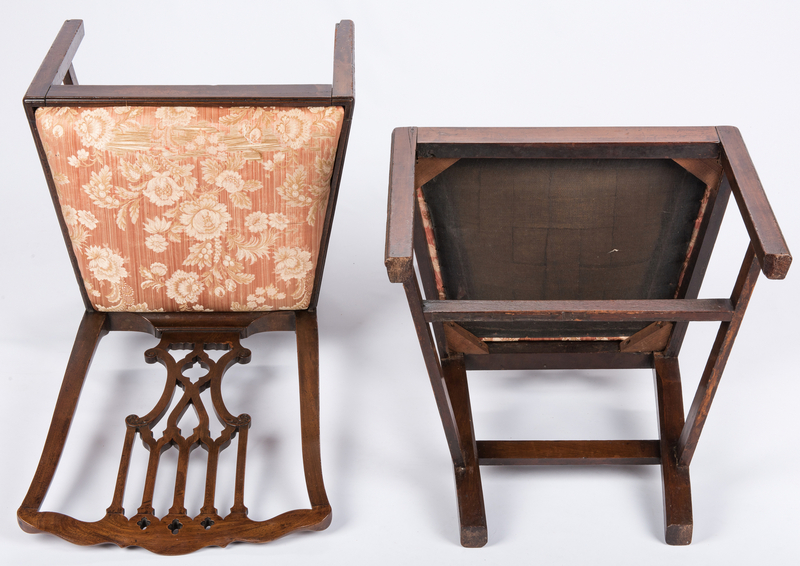 Pair George III mahogany side chairs, each with double serpentine crest rail, Gothic pierced splat, slip seat in thumb-nail molded frame, straight molded front legs and angled back legs joined by stretchers. 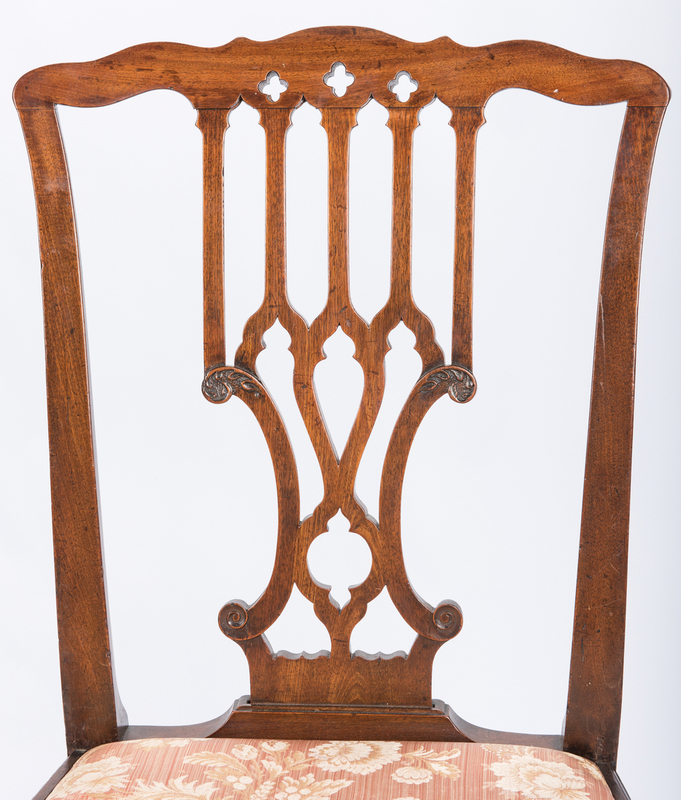 37 3/8" H x 21 5/8" W x 17 1/4" D overall. 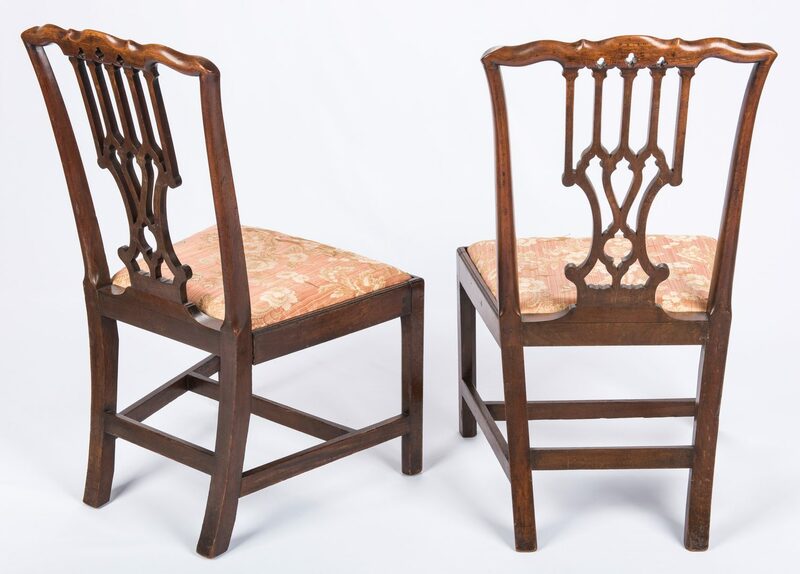 English, late 18th century. 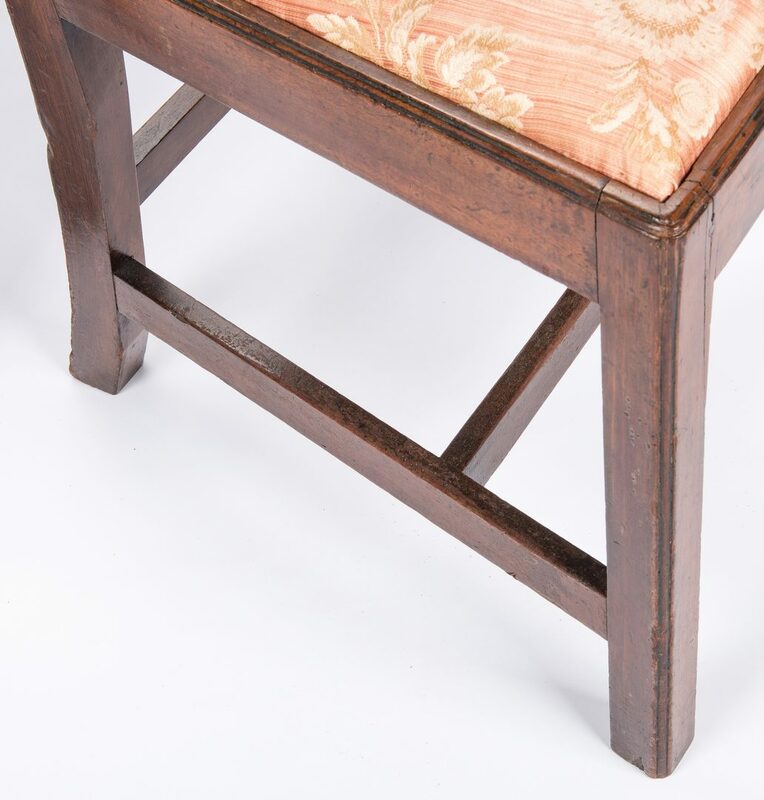 Provenance: Formerly of Maple Grove Estate, Knoxville, TN when a private residence and published in Southern Accents magazine, May-June, 1985. 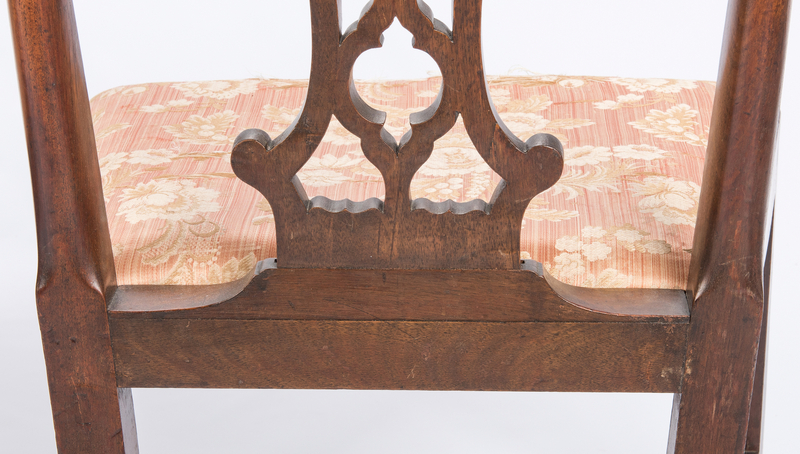 CONDITION: Note seat tenon partially separated from back frame. Scattered scuffs to legs and wear to upholstery.